Vok Beverages is thrilled to announce the arrival of Beenleigh Copper Pot Distilled Rum to the Beenleigh Artisan Distillers rum family. 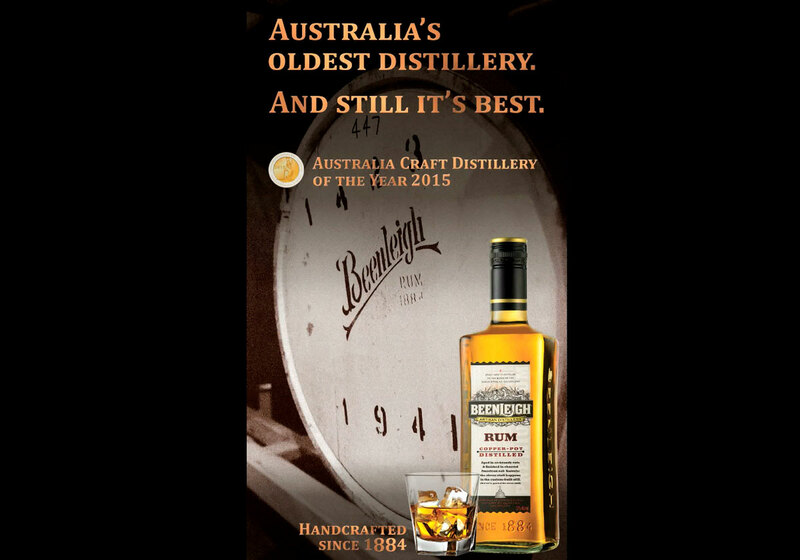 Beenleigh is the oldest registered and continuous working distillery in Australia. Purchased by Vok Beverages in 2012, there is a renewed passion and investment to ensure this iconic brand will reclaim its position as the bold, innovative and artisanal rum that it was known as almost a century and a half ago. There is an exciting trend in Australia embracing Australian owned and crafted distilled spirits that showcase the skill and tenacity of Australian Master Distillers. Wayne Stewart, our Master Distiller, has worked at the distillery for over 35 years and has used his working knowledge of rum production to develop the new Beenleigh Copper Pot Distilled rum. “Our rum is still pot distilled, the traditional way, before being craftily blended after a minimum of two years ageing in both ex-brandy vats and ex-bourbon barrels” said Stewart. The flavour profile has discernible caramel undertones and pronounced vanilla notes, thanks to its time in oak, with a subtle infusion of floral elements from the ex-brandy vats. Beenleigh Artisan Distillers’ Copper Pot Distilled Rum is well-crafted, well-balanced with an approachable style suited to simple mixed drinks and cocktails. Tamara Kent, Senior Brand Manager says, “Launch of the Copper Pot Distilled rum provides consumers an affordable way to experience premium crafted Australian rum with a flavour profile unlike anything currently being produced”. Beenleigh Artisan Distillers took the opportunity with this important milestone for the brand to release the new packaging and creative direction; designed to communicate the artisanal care in which the rum is crafted. “Continuing Beenleigh Artisan Distillers new creative direction has included the launch of our new website, which really communicates the brand’s rich heritage, beautiful mix ability and hand-crafted experience” says Kent (www.beenleighrum.com.au). Later this year Beenleigh Artisanal Distillers will be opening our doors to visitors at the multi-million dollar Visitor Centre, opening in October, where we can proudly share the rich history and Australian heritage with our consumers.